For those of you who thought you had heard the final word on the City Council-endorsed synthetic field at Highlands Park, there may still be some life in this seemingly endless and controversial issue. The installation of a synthetic turf field in San Carlos has been present since 2001. After countless community meetings, Park and Recreation Commission meetings, City Council meetings, coalitions, petitions, mediations, and a lawsuit, the synthetic turf issue may have one final day in front of City Council. With the San Carlos Parks and Recreation Department ready to recommend park closures as a way to lessen the impact of a massive budget shortfall, some have used the timing of this recommendation as an opportunity to call into question the sense of investing 1.5-2M dollars into the synthetic playing surface if we cannot keep other parks in San Carlos open at the same time. The primary source of the funds used to pay for the field are coming from Measure G. Measure G is a city-wide parcel tax of $6 a year and has been in effect for the past couple of years. It’s a bit tricky, but essentially the way Measure G was written, the funds collected from Measure G can only be used for park improvements. While the language is tightly written into Measure G, it would seem reasonable that the Measure could be construed to allow for usage where a park was threatened to be closed. This is the general argument that will be used by many when writing to City Council over the next few weeks. Supporters of Measure U will argue that if the synthetic field was to be suddenly taken off the table, it would be years, if ever, that it would come back into play. Further, they will argue that San Carlos cannot solve its field hours shortage without having the synthetic field. My feeling is that they would also argue that closing the other parks is not practical and that there needs to be cuts in other areas prior to the extreme step of actually closing certain San Carlos parks such as Arguello and Crestview. You would be hard-pressed to find a more controversial issue in San Carlos over the last ten years. It appears that the controversy may heat up for one more showdown before City Council. Great job on your blog. I read with horror your posting on massive park closures scheduled this year. Ironically, the city is set to vote soon on installing synthetic turf at Highlands field. With the current shortage of field space for sports, and the desire by neighbors to keep parks open, accessible by all residents and natural, it makes no sense to spend approximately 2 million dollars on one synthetic field at Highlands, while closing Crestview and Arguello, plus the Youth center 10 months of the year. The city’s priority should be to increase accessibility to all our parks, not shut them down in favor of one synthetic field that will be scheduled out to the highest bidders and closed to all others. The outrageousness of its extreme high cost is only topped by the short-sightedness of spending that kind of money on a field that’s only expected to last 8 years. With no budget for replacement cost, Highlands will become an ugly, overpriced eyesore…one that grass seed and a little water won’t repair. It’s time that our city got its priorities straight. I welcome your participation in helping our City Council see the folly of this expensive investment in a short-term solution that robs all other park and recreation needs. Right on Heidi! What the artificial turf proponents never address is the half a million to a million dollar replacement costs every 5 to 10 years. These literal waste fields are also plastic/rubber money pits that can never be converted back to natural vegetation without spending millions of dollars (and huge effort) to take all that rock away and bring the acres of soil back. So as the heavy expense of these fields accrues , more parks wlll have to be closed to pay for it. In contrast , well constructed natural turf fields with appropriate grasses, good drainage, organic turf maintenance and recaptured stormwater for irrigation if needed are state of the art durable and never need to be replaced if given smart care (not necessarily intensive care – just the right care). Check out the dozens of natural turf fields in Branford CT, organically maintaned and the oldest of which are at least 2 decades old and going strong in spite of multi sport use from March through november every day of the week! My two boys and I have have spent countless hours on San Carlos parks and ballfields participating in San Carlos LL and San Carlos AYSO. For nearly 10 years, I was tournament director for SCLL’s major fundraiser. Typically we would have 4o teams or so come to San Carlos and over a 5 day period play close to 80 games. 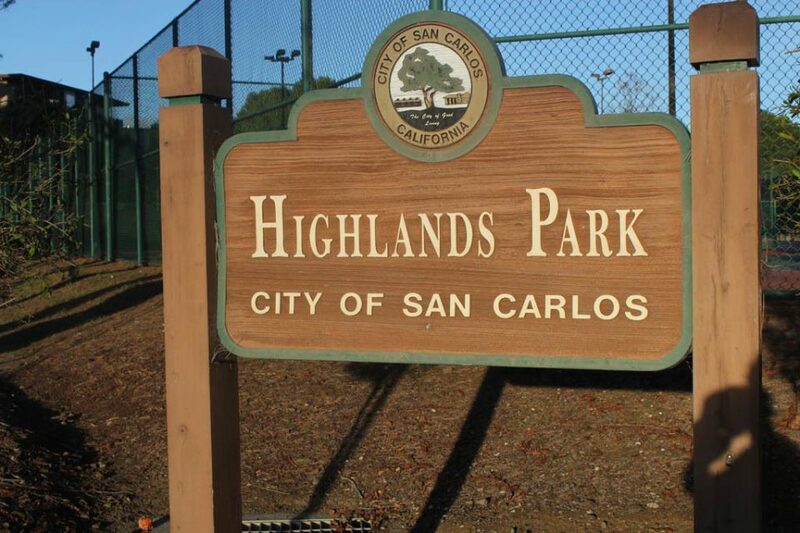 Highlands Park was the main tournament location though all fields in San Carlos were used. I can tell you the other teams and communities loved to come to San Carlos becuase of our excellent facilities. In my humble opninion, nothing beats natural grass. I have always leaned against installation of artificial turf at Highlands and I would say the idea of closing fields in order to install an artificial turf field at Highlands where the community of San Carlos has typically been evenly split for and against is absurd. There has NEVER been a groundswell of community support for artificial turf. I say let’s skip the artificial turf for now and keep our other fields and parks open. Once the economy improves and City revenues increase, this issue can be re-visited. I participated in the City Council turf debates months ago, but so much has changed since then. Both the fixed and variable costs of the astroturf are notably higher than originally discussed, and it won’t last as long as originally planned before it needs to be replaced. And now we have huge budget shortfalls and risk the closure of Crestview and Arguello, possibly the Youth Center for 10 months, and losing 3 park employees. So much has changed that the council must take a step back, revisit the turf project, and see what can be done. Spending the $2 million now seems ludicrous. Your suggestion re: the wording of Measure G is a good example of possible steps. Take note of the City Council vote on the project Feb. 8, so timing is very limited. They need to hear thoughts and suggestions NOW from multiple sources. I certainly understand where the people above me are coming from, and it makes a lot of sense…in the short term. Unfortunately if we use this money to keep these parks open, we will have exhausted the extra money in a year or 2 and we will be right back where we started. Investing in the installation of synthetic turf at Highlands addresses a long term need that will pay dividends for years and years. I have always been an advocate of installing synthetic turf at highlands and the current issues we are facing do not change my mind. I hope the city council makes the sound long term decision rather than taking the band aid approach that has gotten all our government agencies into this position in the first place. I’ve been a resident of San Carlos for 30 years, and don’t want to see any of our parks closed. Regardless of my opinion of artificial turf, shortfalls in our budget demand a second look at what is best for our city. In my opinion, it would be a detriment to our community to close our parks and fields. I vote to utilize the funding raised from Measure G to keep our parks and fields open, and to shelve the artificial turf for future consideration.